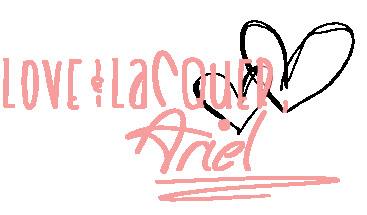 Long time no post, Lacquerbeanz! Sorry about that. I have still been polishing, but just haven't had time to edit photos and put together blog posts. Grad school is tough! 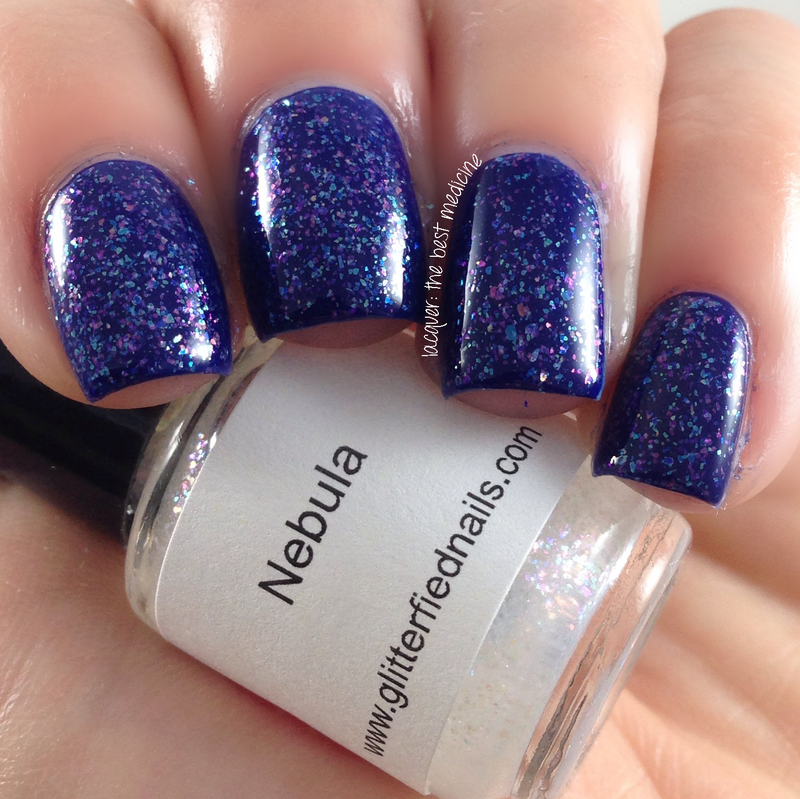 Nebula is a clear base with loaded with sparkly iridescent flakes. I layered it over a deep blue to really make the glitters pop. I love the way it looks this way! 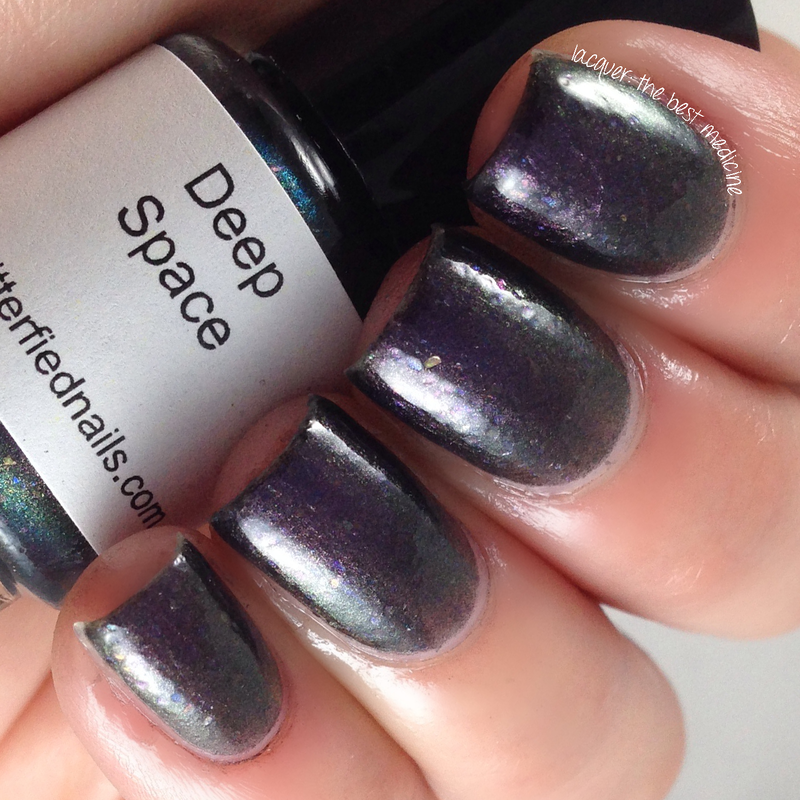 Deep Space is a deep gunmetal metallic polish with color shifts to purple and dark green with some flakies sprinkled in. I used 2 coats here. 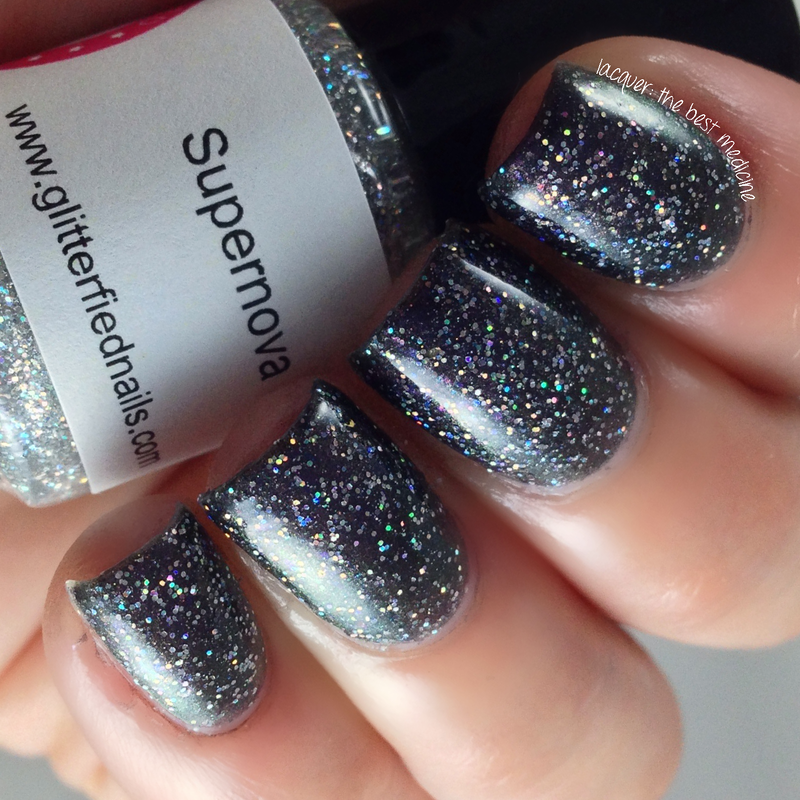 Supernova is a beautiful, sparkly glitter topper with micro-fine and ultra-fine silver holographic glitters in a clear base. 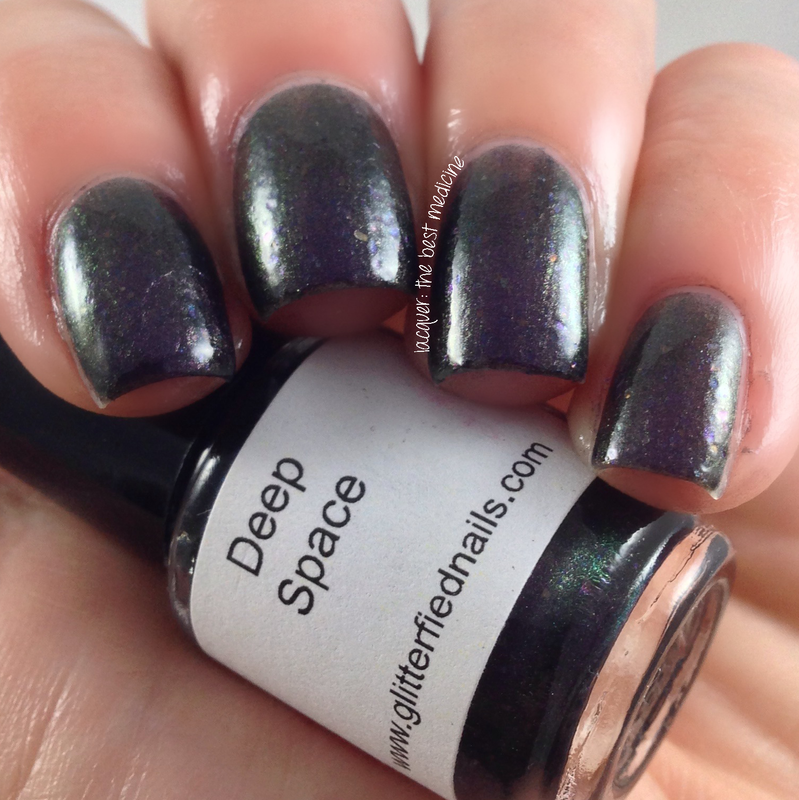 I layered it on top of Deep Space for the swatches below. 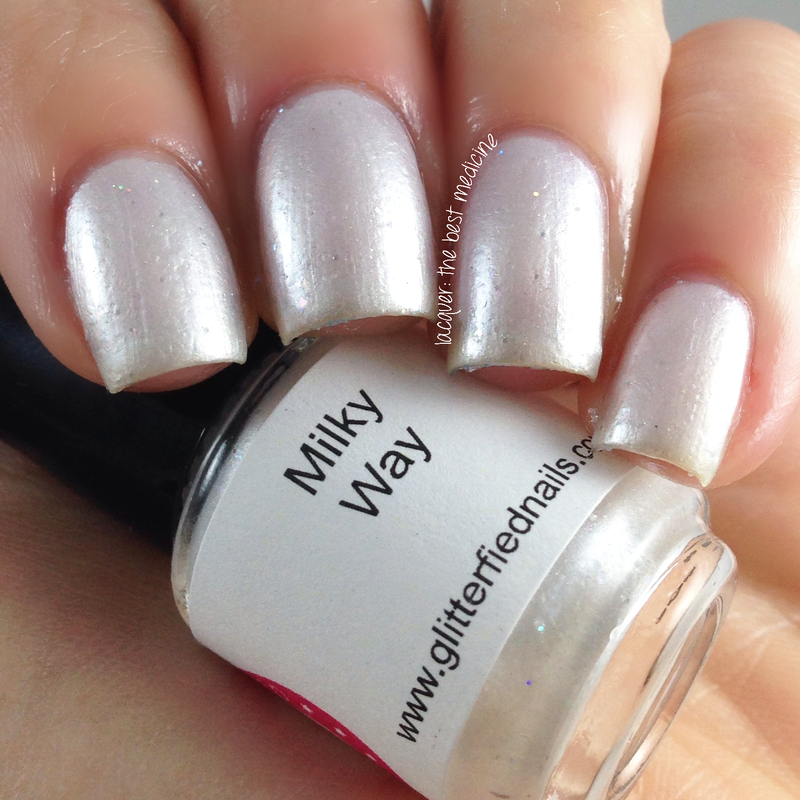 Milky Way is a pearly white based polish with subtle flashes of iridescent flakes and holographic sparkle. 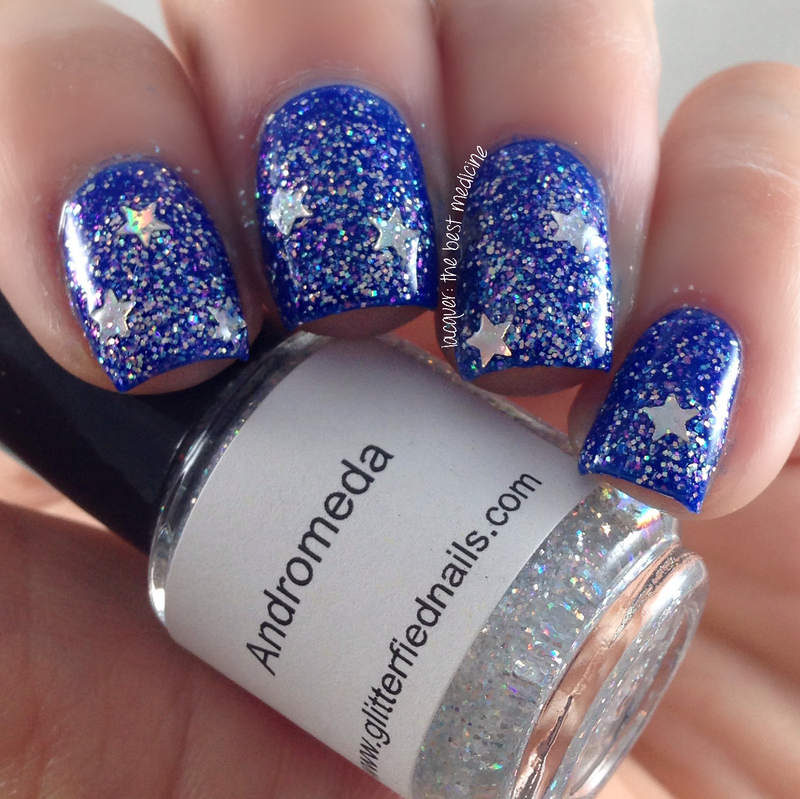 Andromeda is another holographic glitter topper with micro-fine iridescent flakes and silver holographic glitters, accented with silver holographic stars. SOOOOO sparkly! I layered it over royal blue for the swatches below. The formula was a little bit thick for this one, but that did help keep the stars suspended in the base so that I didn't have to fish for any of them. 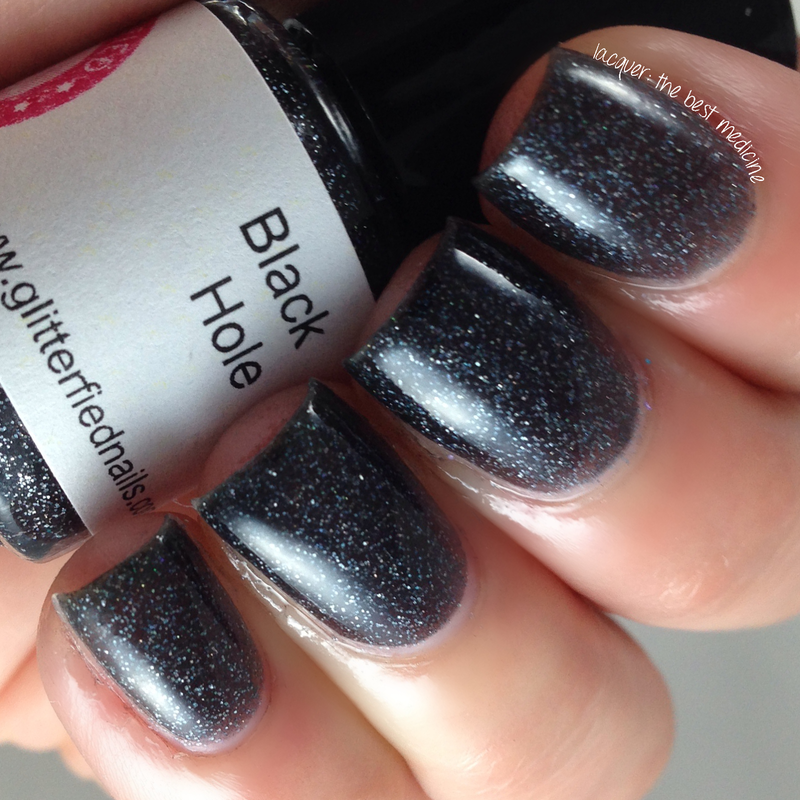 Last up we have Black Hole, a squishy black jelly polish with black and silver holographic glitters. Two coats did it for this one! You can purchase the full collection here for $51 USD to get a deal on all 6 polishes, or you can purchase each one individually for $8.75/bottle. I absolutely LOVE Glitterfied Nails polishes. Cannot say enough about them! You cannot go wrong with ANY of them. 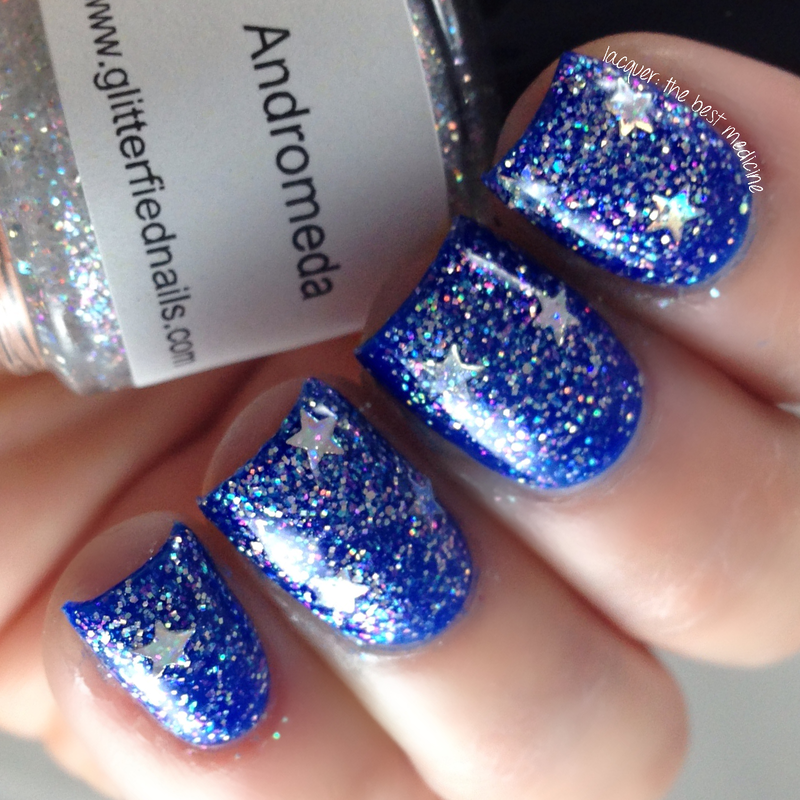 These mani's are stunning!